How Do I Find a Tai Chi Class Near Me for My Lessons? The many physical, mental, and spiritual health benefits of the ancient Chinese healing art of Tai Chi have been extensively studied in the West. Now that these benefits are well-publicized, interest in Tai Chi has increased considerably. Many people want to take it up to live long, healthy, and productive lives while doctors advise practicing it to complement conventional treatment methods. 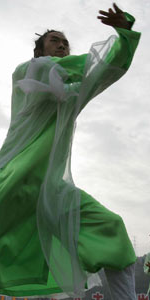 Tai Chi routines consist of complex moves that have to be performed in a definite sequence. The moves are aligned with the breath while the postures have to be exact. So this healing art is best learned under the guidance of an experienced and qualified teacher. How do I find a Tai Chi class near me? This question bothers many who are keen to learn and practice Tai Chi in the right way. 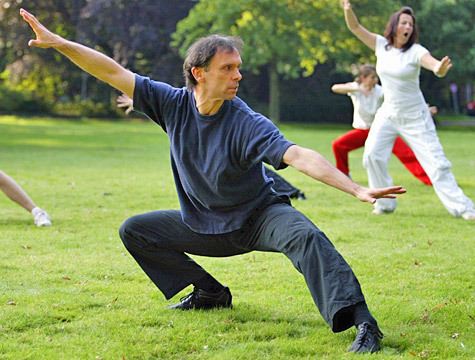 Here are the various ways to find a Tai Chi class near where you live. Ask around to find people who have attended a Tai Chi class near where you live. You can ask your doctor or inquire at the local hospital or clinic about Tai Chi classes. Local fitness centers, martial art studios, wellness facilities, the YMCA, or the YWCA can also provide you with leads. Word-of-mouth recommendations are one of the most effective ways to find a local Tai Chi class. Because advertisers tend to make tall claims, you have to carry out your own extensive investigation to verify their credentials. Recommendations, especially those from people you know and trust as being rational individuals, will save you the hassles of doing a painstaking research. Pore over newspapers and the Yellow Pages. These media are old, but they have not become obsolete. Newspapers and Yellow Pages will provide you with sundry leads. However, you have to do the tough task of investigating their credentials. After you shortlist a few schools, visit them to talk to the teacher to gauge the vibes and attend a free “taster” class that some schools might offer. During the class, pay attention to how the teacher moves (his movements should be smooth), explains the exercises (the explanations should be detailed and lucid), and interacts with his students (he should be patient and friendly). Simplify your search for local Tai Chi classes with the help of the Internet. Use a phrase like “tai chi class <your location>” for your search. You will get many results. Explore the websites of these schools or instructors to obtain basic information like the teacher’s certification and the number of years the school has been in business. Look up the class timings, duration, and frequency to find out if they suit you. Cross-check the testimonials. Then schedule a visit to check out in person. There are also many “finder” websites that offer information on local businesses. Information on Tai Chi classes in specific regions might be listed under the Complementary and Alternative Medicine (CAM) head. Researching Tai Chi classes to find the best fit for your needs, wallet, and convenience will take some time. But you will want to go through the process to ensure you have the best and the most satisfying learning experience.